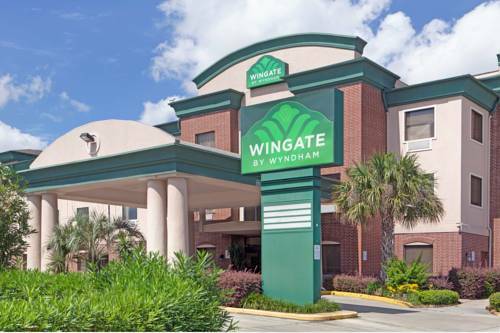 Conveniently located off route 8, this Wingate by Wyndham Houston Bush Intercontinental Airport IAH is just five miles from George Bush Intercontinental Airport, near Hobby Center for the Performing Arts, golfing, shopping and many local restaurants. Ideal for both work and play, this smoke-free, pet-friendly lodging offers complimentary breakfast, complimentary internet, fitness room, hot tub, pool, meeting rooms and business center. Guest room amenities include microwave, refrigerator, safe, TV and newspaper. Suites and handicapped-accessible rooms are also available. Hotel offers free airport shuttle service daily from 4:30 AM to midnight. Call hotel for pick-up.